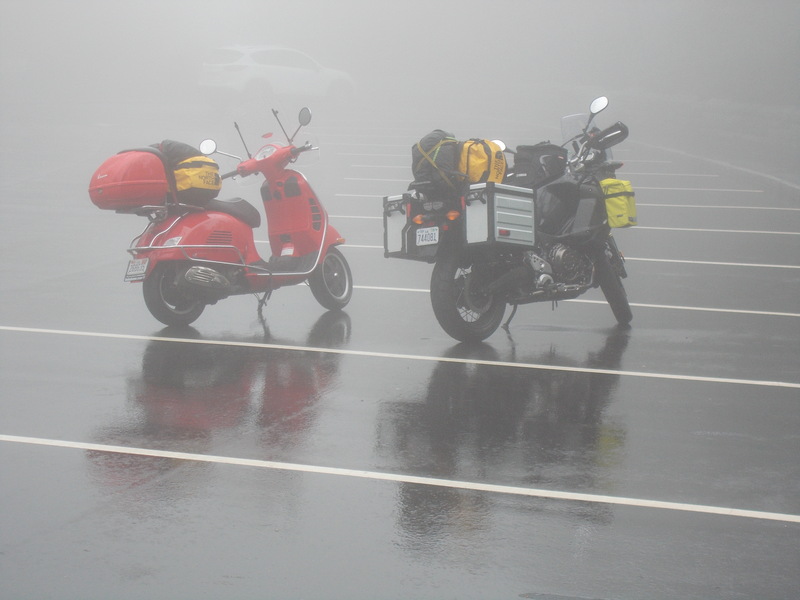 The next morning was worse, foggy with cold rain, and even though we had the BRP almost to ourselves, it didn’t feel right. Visibility felt like 20 feet and the rain was the cloying type that clings to helmet faceshields and turns them opaque. The air was chill enough that the shields tended to mist up inside, making them twice as difficult to peer through. You could open the shield slightly for better airflow, but then the rain would creep in, stabbing your face with tiny needles of water. We stopped at the Linn Cove Viaduct visitor’s center, where I shot this photo, and refueled in Blowing Rock, N.C., deciding to call it a day after a paltry 53 miles. It would have been foolish to continue. The hotel didn’t have a guest laundry, but it did have lots of spare rags as a courtesy for folks on motorcycles. We shrouded the bikes, brought in our bags, and began drying out our riding gear.